Enjoy seamless, automatic connectivity, wherever you are. Download our brand new app today and connect seamlessly to millions of WiFi hotspots all over the world! Simply choose how long you need to be connected for, then buy passes to either use now, or save for later. Telstra is our partner in Australia. If you’re not a Telstra broadband customer yet, subscribe now so you can activate Fon! All you need is to create your Telstra Air account. Once you have activated the service, you can connect through the Telstra Air app or on WiFi captive portals that will pop up when you click on your browser after selecting any “Telstra Air” or “Fon WiFi” signal. You will have access to all “Telstra Air” and “Fon Wifi” hotspots in Australia and to Fon’s global WiFi network. When abroad, connect to our hotspots and avoid international data roaming charges by using Fon WiFi. Proximus is our partner in Belgium. If you’re not a Proximus broadband customer yet, subscribe now so you can activate Fon! All you need is to create your Proximus Fon account in your MyProximus to connect through the Proximus WiFi app or on WiFi captive portals that will pop up when you click on your browser after selecting any “PROXIMUS_FON” or “FON_BELGACOM” signal. You will have access to all “PROXIMUS_FON” or “FON_BELGACOM” hotspots in Belgium and to Fon’s global WiFi network. When abroad, connect to our hotspots and avoid international data roaming charges by using Fon WiFi. Oi is our partner in Brazil. If you’re not an Oi customer yet, subscribe now so you can activate Fon! All you need is to create your Oi WiFi account to connect through the Oi WiFi app or on WiFi captive portals that will pop up when you click on your browser after selecting any “Oi WiFi Fon” signal. You will have access to all “Oi WiFi Fon” hotspots in Brazil and to Fon’s global WiFi network. When abroad, connect to our hotspots and avoid international data roaming charges by using Fon WiFi. SFR is our partner in France. If you’re not an SFR broadband customer yet, subscribe now so you can activate Fon! Once you have setup your La Box de SFR you can connect through the SFR WiFi app or on WiFi captive portals that will pop up when you click on your browser after selecting any “SFR WiFi FON” signal. You will have access to all “SFR WiFi Fon” hotspots in France and to Fon’s global WiFi network. When abroad, connect to our hotspots and avoid international data roaming charges by using Fon WiFi. Deutsche Telekom is our partner in Germany. If you’re not a Deutsche Telekom broadband customer yet, subscribe now so you can activate Fon! Once Fon is setup, you can connect through the HotSpot Login App or on WiFi captive portals that will pop up when you click on your browser after selecting any “Telekom_Fon” signal. You will have access to all “Telekom_Fon” hotspots in Germany and to Fon’s global WiFi network. When abroad, connect to our hotspots and avoid international data roaming charges by using Fon WiFi. COSMOTE is our partner in Greece. If you’re not a COSMOTE Double Play customer yet, subscribe now so you can activate Fon! All you need is to create your COSMOTE My WiFi account. Once you have activated the service, you can connect through the COSMOTE Fon WiFi app or on WiFi captive portals that will pop up when you click on your browser after selecting any “COSMOTE My WiFi” signal. You will have access to all “COSMOTE My WiFi” hotspots in Greece and to Fon’s global WiFi network. When abroad, connect to our hotspots and avoid international data roaming charges by using Fon WiFi. Magyar Telekom (MT) is our partner in Hungary. If you’re not a MT customer yet you can subscribe to a Telekom mobile package and gain access to Fon! Once you have signed up to one of the eligible MT mobile packages, you can connect through the Telekom Fon app or via WiFi captive portals that will pop up when you click on your browser after selecting any “Telekom_Fon” signal. You will have access to all “Telekom_Fon” hotspots in Hungary and to Fon’s global WiFi network depending on the package of their choice. When abroad, connect to our hotspots and avoid international data roaming charges by using Fon WiFi. Vodafone is our partner in Italy. If you’re not a Vodafone Italy broadband customer yet, subscribe now so you can activate Fon! All you need is to create your Vodafone WiFi community account. Once you have activated the service, you can connect through the My Vodafone app or on WiFi captive portals that will pop up when you click on your browser after selecting any “Vodafone-WiFi” signal. You will have access to all “Vodafone-WiFi” hotspots in Italy and to Fon’s global WiFi network. When abroad, connect to our hotspots and avoid international data roaming charges by using Fon WiFi. SoftBank is our partner in Japan. If you’re not a SoftBank customer yet, subscribe now so you can activate Fon! All you need is to set up your devices which connect automatically. Once you have activated the service, you can connect through the connection manager application or on WiFi captive portals. You will have access to all “FON_FREE_INTERNET” and “FON_FREE_EAP” hotspots in Japan and to Fon’s global WiFi network. When abroad, connect to our hotspots and avoid data roaming charges with Fon WiFi. Jersey Telecom (JT) is our partner in Jersey. If you’re not a JT customer yet you can subscribe to a JT Fibre Broadband package and gain access to Fon! Once you have signed up to one of the eligible JT Fibre Broadband package, you can connect through the JT Fon app or via WiFi captive portals that will pop up when you open your browser after selecting any “JT Fon” signal. You will have access to all “JT Fon” hotspots in Jersey and to Fon’s global WiFi network depending on the package of their choice. When abroad, connect to our hotspots and avoid international data roaming charges by using Fon WiFi. KPN is our partner in the Netherlands. If you’re not KPN broadband customer yet, subscribe now so you can activate Fon! All you need is a KPN broadband subscription. Then you can connect through the KPN WiFi app or on WiFi captive portals that will pop up when you click on your browser after selecting any “KPN Fon” signal. You will have access to all “KPN Fon” hotspots in the Netherlands and to Fon’s global WiFi network. When abroad, connect to our hotspots and avoid international data roaming charges by using Fon WiFi. Netia is our partner in Poland. If you’re not a Netia broadband customer yet, subscribe now so you can activate Fon! Once you have activated Fon on your Netia Spot router, you can connect through the Netia Fon WiFi Access app or on WiFi captive portals that will pop up when you click on your browser after selecting any “FON_NETIA_FREE_INTERNET” signal. You will have access to all “FON_NETIA_FREE_INTERNET” hotspots in Poland and to Fon’s global WiFi network. When abroad, connect to our hotspots and avoid international data roaming charges by using Fon WiFi. NOS is our partner in Portugal. If you’re not a NOS customer yet, subscribe now so you can activate Fon! You’ll need to visit your NOS selfcare website to create a NOS wi-fi powered by Fon username and password.? Once you accomplish this step, you can connect through the NOS wi-fi app or on WiFi captive portals that will pop up when you click on your browser after selecting any “FON_ZON_FREE_INTERNET” signal.  You will have access to all “FON_ZON_FREE_INTERNET” hotspots in Portugal and to Fon’s global WiFi network. When abroad, connect to our hotspots and avoid international data roaming charges by using Fon WiFi. Telekom Romania is our partner in Romania. If you’re not a Telekom Romania broadband customer yet, subscribe now so you can activate Fon! All you need is to setup the service. Then you can connect through the Fon for Members app or on WiFi captive portals that will pop up when you click on your browser after selecting any “Telekom Fon” signal. You will have access to all “Telekom Fon” hotspots in Romania and to Fon’s global WiFi network. When abroad, connect to our hotspots and avoid international data roaming charges by using Fon WiFi. Vodafone is our partner in Spain. If you’re not a Vodafone customer yet, subscribe now so you can activate Fon! All you need is to create your Vodafone WiFi account. Once you have activated the service, you can connect through the Vodafone WiFi app or on WiFi captive portals that will pop when you click on your browser after selecting any “_ONOWIFI” signal. You will have access to all “_ONOWIFI” hotspots in Spain and to Fon’s global WiFi network. When abroad, connect to our hotspots and avoid international data roaming charges by using Fon WiFi. net+ is Fon’s partner in Switzerland. If you’re not a net+ customer yet, you have to subscribe to BLI BLA BLO pack so you can activate Fon! As soon as you are net+ customer, you just need to activate the functionality in the customer portal my.net.ch In order to use the “net+ Fon” connection, you just need to select the signal “net+ Fon”, then you will be redirected to the internet portal. It will pop up automatically after selecting any “net+ Fon” signal and then entering your net+ customer login and password. You will have access to all “net+ Fon” hotspots in Switzerland and to Fon’s global WiFi network. When abroad, connect to our hotspots and avoid international data roaming charges by using Fon WiFi. MWEB is our partner in South Africa. If you’re not a MWEB ADSL customer yet, subscribe now so you can activate Fon! When you subscribe to MWEB ADSL, you receive a Fon-enabled router. After that, you can connect through the Fon for Members app or on WiFi captive portals that will pop up when you click on your browser after selecting any “@MWEB Fon” signal. You will have access to all “@MWEB Fon” hotspots in South Africa and to Fon’s global WiFi network. When abroad, connect to our hotspots and avoid international data roaming charges by using Fon WiFi. 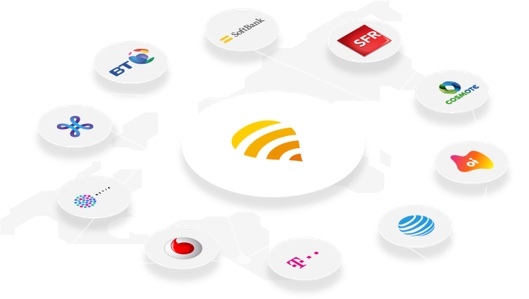 Once you have subscribed to any BT Broadband package, you can connect through the BT WiFi app or on WiFi captive portals that will pop up when you click on your browser after selecting any “BTWiFi-with-Fon” signal. You will have access to all “BTWiFi-with-Fon” hotspots in the UK and to Fon’s global WiFi network. When abroad, connect to our hotspots and avoid international data roaming charges by using Fon WiFi. If you use one of our partners for your home broadband or mobile phone service, you may already have access to our network. Select your country below to get started. We have more than 23,000,000 hotspots around the world!